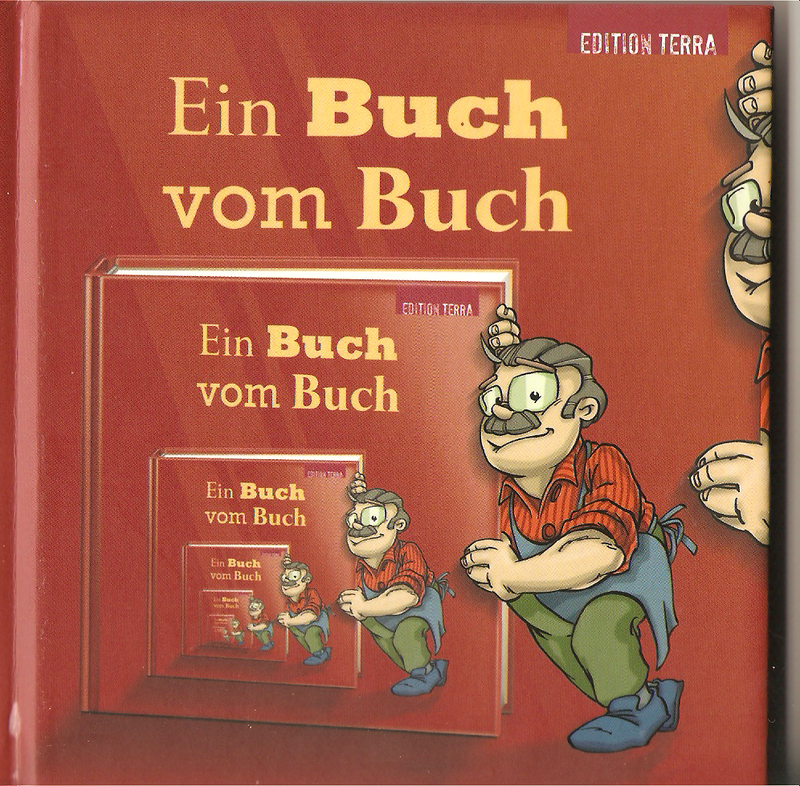 A beautiful miniature hardback book, Ein Buch vom Buch (“A Book from the Book”; Terra, 2006) is the story (in German) of how a book is made, with photographs from inside a publishing house and a print shop augmented by this friendly fellow. The cover is appropriately and wonderfully recursive. See also The Tree and Oscar and the Snail.